There are more than 55,000 electrical substations in the United States. While some are located mere hundreds of feet from residential and commercial buildings, most are in isolated, rural areas. In order to protect against intrusion, theft and damage of these multimillion-dollar, custom-designed substations, owners must enforce a comprehensive security solution. While other technology now exists that can mitigate intrusion events, having the ability to monitor for individuals attempting to breach a perimeter needs an integrated solution. 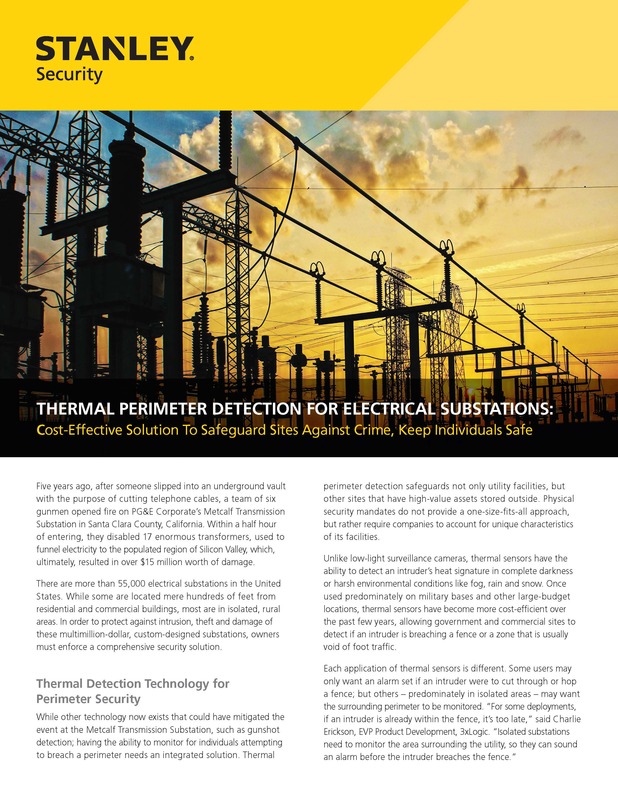 Thermal perimeter detection safeguards not only utility facilities, but other sites that have high-value assets stored outside. Physical security mandates do not provide a one-size-fits-all approach, but rather require companies to account for unique characteristics of its facilities.